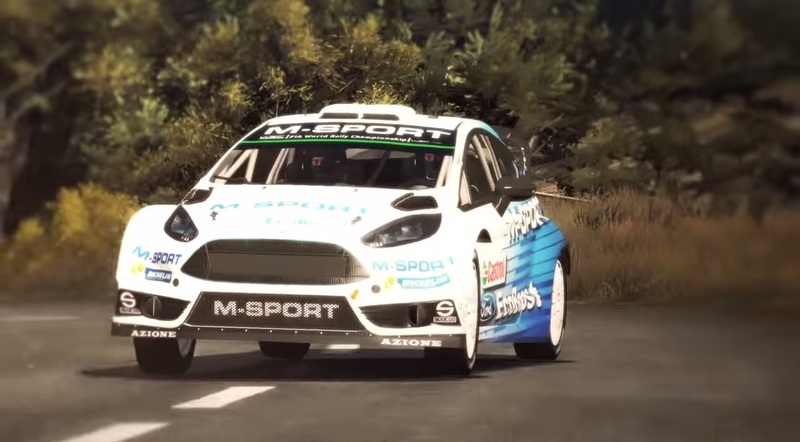 Big Ben Interactive has released its latest WRC game with the aptly named WRC 5 which hits stores from today.To mark the occasion a launch trailer has been released to get gamers into the rally mood. WRC 5 allows players to drive 65 different special stages, five each from all 13 rounds of motorsport’s toughest championship for production-based cars. Gamers can play with 51 official drivers, including star names such as world champion Sébastien Ogier*, Kris Meeke, Thierry Neuville, Elfyn Evans and Robert Kubica, as well as rising stars from WRC 2 and FIA Junior WRC categories. The career mode will be one of the challenges for players who will climb the sport’s ladder from Junior WRC to the headline World Rally Car category. Among its online multiplayer game modes, WRC 5 will feature an innovative eSports championship allowing players to compete in multi-player tournaments simultaneously during every round of the 2016 WRC season. The eSports WRC Championship will begin at January’s opening round of the year. Features allow gamers to set-up major components such as suspension, brakes and ride height and experience the disappointment of nursing their car to the end of a stage with mechanical problems or damage after crashing off the road.